USD/CAD has just bounced from the 1.3500 psychological area, which lined up with a falling channel resistance on the 1-hour time frame. 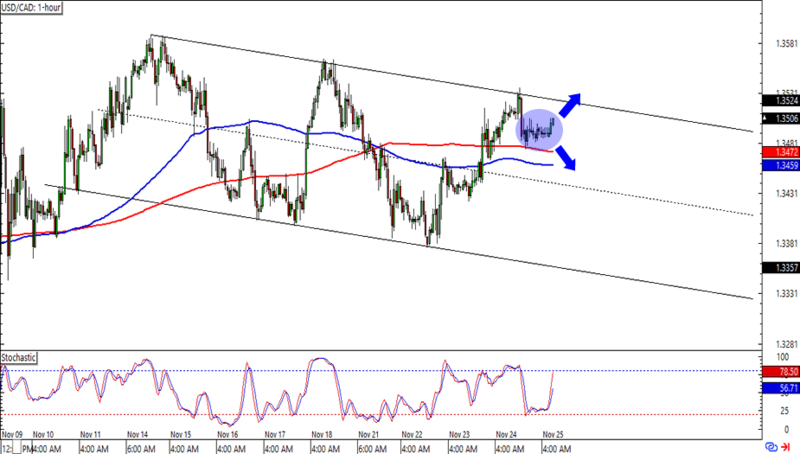 Will this lead to a retest of the channel support around the 1.3400 levels? Or will dollar bulls reclaim the throne and push for an upside breakout? It looks like the SMAs are holding back the bears right now, but keep close tabs on this one in case we see an extension of the downtrend after all! 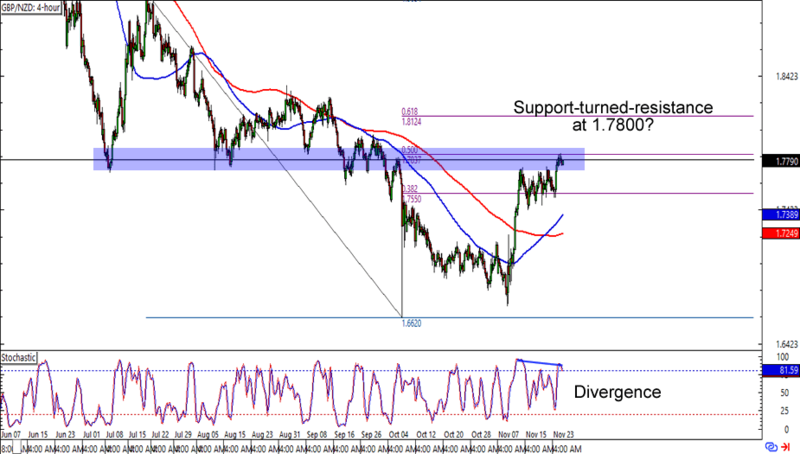 GBP/NZD is currently testing the 1.7800 major psychological handle, which is right smack at a 50% Fibonacci retracement on the 4-hour time frame. What makes the level more interesting is that is also lines up with a support area that had held from late June to late September. The cherry on top of the bearish sundae is a bearish divergence on the chart. Think the pound is in for more losses against the Kiwi? Or are we looking at an uptrend in the making? After all, the 100 SMA has also just crossed above the 200 SMA. Shorting at the first signs of bearish momentum could give you a good reward-to-risk ratio especially if you aim for the previous lows. Just make sure you use wide stops on currency crosses like this, aight? Here’s an easy peasy range play for ya! EUR/USD is currently testing the 1.0550 handle, which hasn’t been broken as support since MARCH 2015. 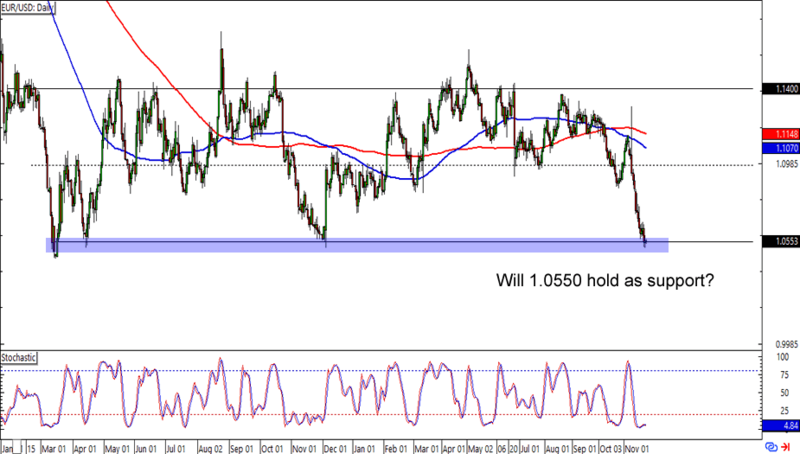 Is the 4th time the charm for the euro bears? Shorting at a downside breakout is a good idea if you’re one of them euro bears. Of course, you can also buy at current levels and place your stops just below the range support if you have faith on the oversold stochastic signal and you think that the 1.0550 mark will hold.